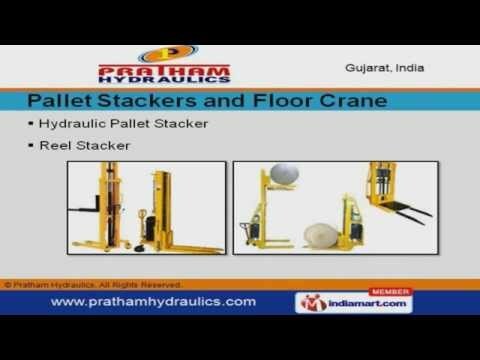 Welcome to Pratham Hydraulics. Manufacturer, Exporter and Supplier of Material Handling Equipments. The company was incepted in 1984. We have Team of strong professionals and we also provide Installation training sessions for clients. Premium quality equipment, efficient after-sales service and Cost-effective products make us the first choice of our clients. We offer a wide array of Pallet Trucks, Drum Handling Equipments, Scissor Lift Tables and Dock Leveler. Our Pallet Trucks are available at industry leading prices. We offer Pallet Stackers and Floor Crane that are widely appreciated in the market. We also provide Scissor Lift Tables and Dock Leveler that are outstanding in performance. Our Drum Handling Equipments are extremely reliable. Along with that we offer Hydraulic Lifts for Car, Goods and Personal Use.